Tip of the beanie to Bob Taylor, who wrote from his Nordhavn 57 Istaboa to enthuse about the Cradlepoint MBR1000 router above, which can handle—even prioritize or load balance—multiple cellular, WiFi, DSL, etc. WAN (Internet) connections coming in via card, USB or Ethernet, and then deliver them to the LAN (PCs, iPod Touchs, etc. around the boat) via WiFi or Ethernet. In the photo Bob’s got an AT&T HSUPA USB Aircard, a Verizon EVDO USB Modem , and a Port Networks MWB-200 WiFi rig (which he heard about here) all connected to it and getting along fine, as he describes in his blog. Bob also pointed me to an EVDOinfo.com review, and I found positive Amazon reviews. Today I learned that Jeff Siegel has also been testing Cradlepoint afloat, particularly in regard to “tethering”, i.e. cell-phone-to-router instead of cell-modem-to-router. Jeff makes a case for tethering here, and discusses MBR1000 details here. We activated the KVH V7 system and have integrated the PepLink Balance 30 Multi-WAN router. It has a very nice user interface to allow the captain to manually switch between 3 outside ISP networks. I verified switching between the two active connections while online. The system is also able to do auto-switching based on health checks and other criteria. That may get implemented later after some time in use. We currently have the Sat. V7 and the Syrens WiFi with the 3rd port available for future expansion (Cellular modem..?) or to plug in a cabled Ethernet connection that is sometimes available dockside. PS. Nik added that “The V7 is activated for a 256 kbps up & 512 kbps down, unlimited connection + 2 VOIP lines. I verified the data rates and was impressed with its consistency and stability. The users on the boat in fact preferred the slower, but stable V7 to the faster but rather unstable WiFi hotspot that was available.” And he later heard that while it worked well out to Bermuda, it seemed to hit a Sat coverage hole there. I’ve heard a few mixed reports like this on V7 mini-VSAT, but it is a relatively new technology. I have something similar today to Istaboa with slightly different equipment. On our Passport 40, Pelican, I use a Kyocera KR2 router which allows both a wired connection and a cellular connection. On the cellular side I use a Verizon USB EVDO connection. I am in the process of installing a Port Networks MWB-250 marine wireless bridge to bring in distant wireless networks. This will be connected to the Kyocera router. Cellular amplification will be provided by a Digital Antenna DA4KMR-30U. The antenna wires are low loss and are run up my mast, one antenna per spreader. We look like a mini-superyacht! I’ll provide pictures soon. We have also just completed the installation of the new Raymarine ST70/X-10 below decks autopilot system. We haven’t left our slip yet to test it, but we are hoping to head south from Annapolis next week so I’ll provide information as we go! That is cool news from Nik. Maybe it is just coincidence, but I think it is cool that I was the one who suggested going with Peplink. I think that the mini-VSAT solution is cool, I didn’t know that you could go with an Unlimited connection. I would really love to hear from Nik about the installation/implementation of the MTU and VoIP solution. Was it standard SIP, or is it more complicated? Has anyone ever tried a Microsoft VoIP Response Point Solution aboard a yacht? How about a Linksys LVS VoIP solution? I have been using Cradlepoint’s PHS300 with my Sprint EVDO card for a few months now. I can’t say enough good things about this mini unit and I really appreciate the battery which allows me to keep the connection live when moving between the boat, car and office. I have the Cradlepoint also, and totally love it. My work provides me one card (sprint EVDO) and I also have a Verizon card. It’s great to have both of them online when downloading movies and stuff to my Apple TV. And to Chris L-S, the Kyocera KR2 and the Cradlepoint are one in the same router. Kyocera rebrands the router. Has anybody looked into marine applications of WIMAX (wireless broadband)? Any rumors of marine electronics vendors thinking about developing product? Clear has started up service in Seattle WA and Portland OR. I’m wondering how it works out on Puget Sound. 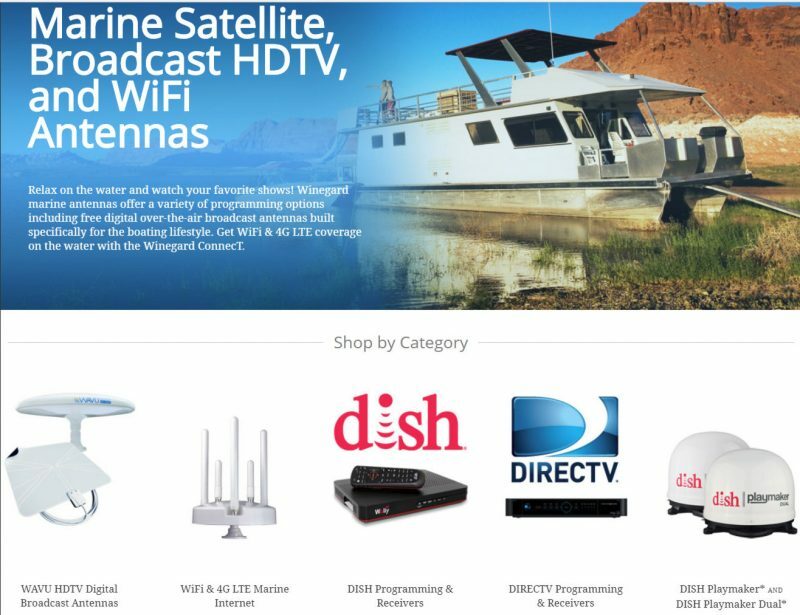 I have been working with ClearWire and other WiMAX vendors trying to put a package together that would work for my boat. ClearWire is a real stick in the mud when it comes to approving products. Zyxel makes a fantastic modem complete with an external antenna SMA connector that would fit in a NEMA box, you can power it with POE or 12VDC but after purchasing one for testing in the Philadelphia market I gave up after 6 months. The modem while advertised as ClearWire 802.16E compliant is not in ClearWire’s authentication server. After 6 months of trying to get it authenticated and then activated including calls to a personal friend in the ClearWire’s RAN test lab in Seattle they will not activate the modem. Finger pointing from ZyXel and ClearWire has me PO’ed and goetting nowhere. The modem cost almost $600.00 and I have given up for the time being. Clearly ClearWire is not ready for prime time. If I ever get the Modem activated I will report results. I have other ClearWire modems activated now. ClearWire only have 2 modems that can be activated the U300/301 series USB and the Motorola home unit neither could be properly used with an external antenna for marine applications. I am very disappointed in their technical support. The modems I do have activated on ClearWire are not much faster than my Ericsson W35 or older W25 using HSPA+ on AT&T. Most 3G plus or 4G cellular carriers are hampered by the lack of decent backhaul from their sites to the switches. Perhaps once LTE launches that might be a better option because the initial launches will be in the 700MHz band not 2.5 to 2.7GHz like ClearWire. Industry rumors and insiders are saying ClearWire may switch from WiMAX to LTE Lite but they still have a poor frequency position in my opinion, plenty of bandwidth at 2.5 but 700MHz will beat the pants off the higher frequency for nLOS and NLOS propagation.